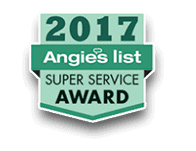 Refrigerator Repair Birmingham AL | Parts & Service | Service Care, Inc. 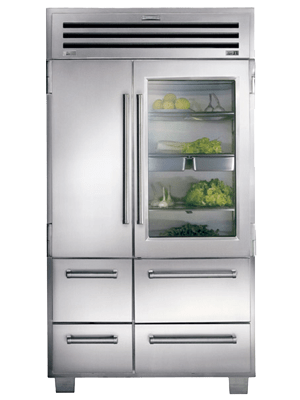 When refrigerator repair becomes necessary, time can be of the essence, as your refrigerated food has a very limited shelf life once the temperature starts to rise. Do you need a refrigerator repair in Birmingham right now? We're fast and affordable! Call: (205) 956-3777 Today! When you need work done today, call us for great same day service, and we’ll get that refrigerator working good as new. Refrigerator Repair Services - All Major Refrigerator Brands Serviced! Not Cooling. The most immediate kind of problem involves your refrigerator not cooling. First, keep the doors closed. That will trap what’s left of the cold air and preserve your food for a few more hours. Do not open it even to get items out, as it lets a lot of cold escape, increasing the risk of spoilage. Unfortunately, you’ll need to check the temperature of your food after your refrigerator repair service has been completed. If it’s warm, you’ll have to throw it out. The alternative invites the risk of food poisoning. Most modern refrigerators provide cold water and ice. If these features aren’t working, its possible water can no longer make it into the machine. This might be because of a blocked hose, a damaged valve, or a faulty filter. The problem might also be the ice maker itself, which will need to be repaired or replaced. It used to be refrigerators and freezers commonly iced up, and de-icing them could be a lengthy process. However, modern refrigerators should not have this problem. If they do, they need refrigerator repair service. Most commonly, it’s caused by faulty door seals. Let us keep your refrigerator from icing up. A leak from any appliance becomes a big mess real quick. Let us provide same day refrigerator repair service and fix the problem before it gets any worse than it is. There’s several reason’s a refrigerator might leak. The drain pan, which sits at the bottom of your unit, can be cracked. Another is a fault in your ice maker. It’s connected to your home’s water supply, and a damaged hose can let water escape. A broken water filter can be another cause of leaks. Whatever the problem, let us diagnose and fix it. Still under warranty? We’ll work with the company to get your warranty repairs done right. We provide the best refrigerator repair in Birmingham, AL.